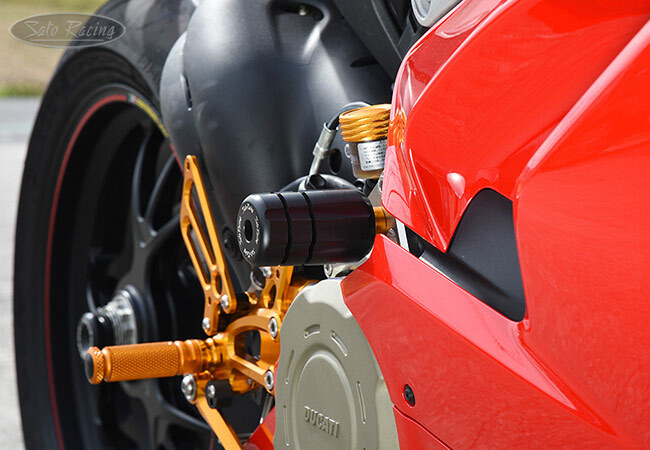 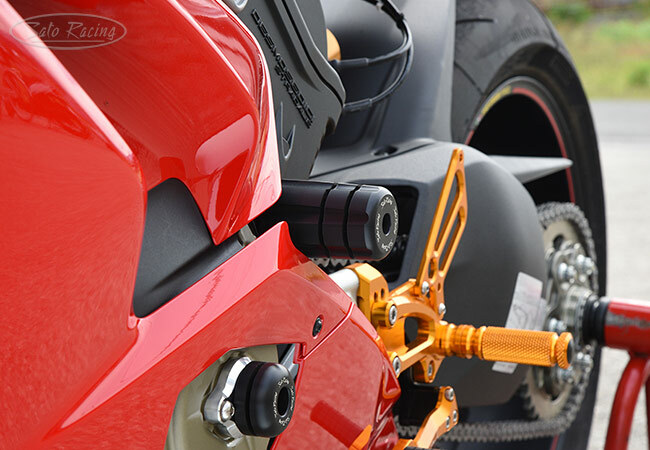 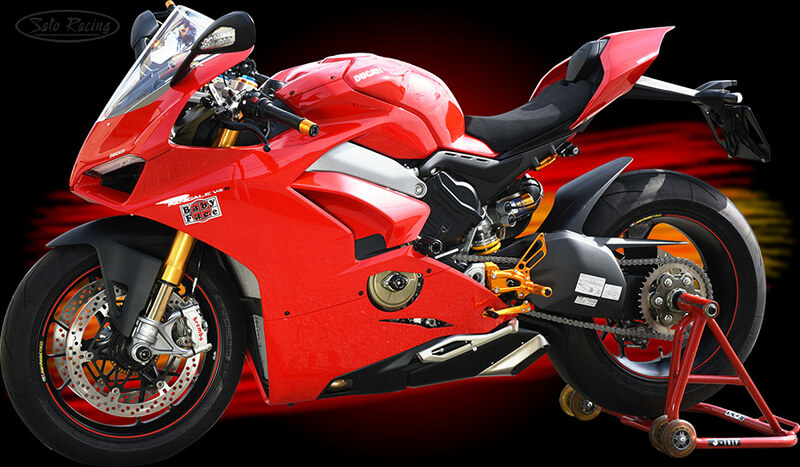 SATO RACING Engine Sliders for 2018 Ducati Panigale V4 feature our 'revolver'-style slider pucks made of tough, abrasion-resistant DELRIN, for maximum protection of the engine case, bodywork and other exposed parts if you lay it down at speed on the track. 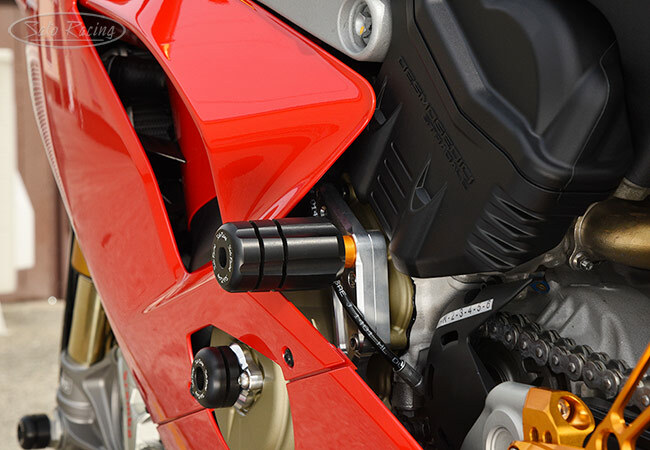 Sliders are mounted over the engine with high strength anodized billet aluminum brackets, with stainless steel and chrome molybdenum bolts. 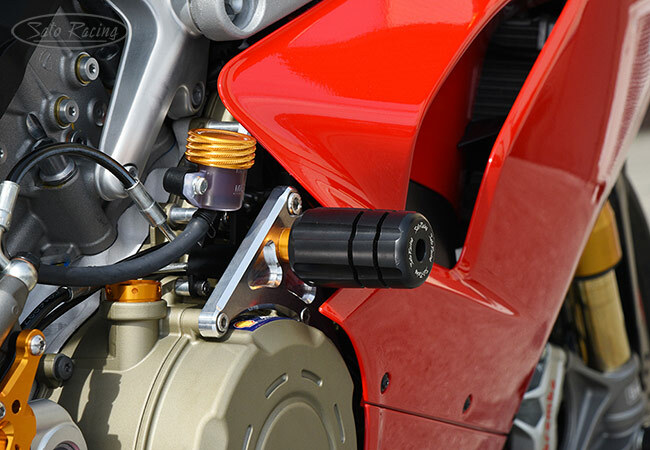 'No Cut' design - No body modifications or hole-cutting is required for installation. 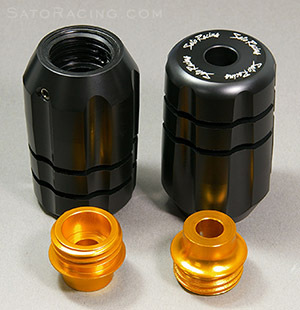 NOTE: Not compatible with GB Racing clutch cover. 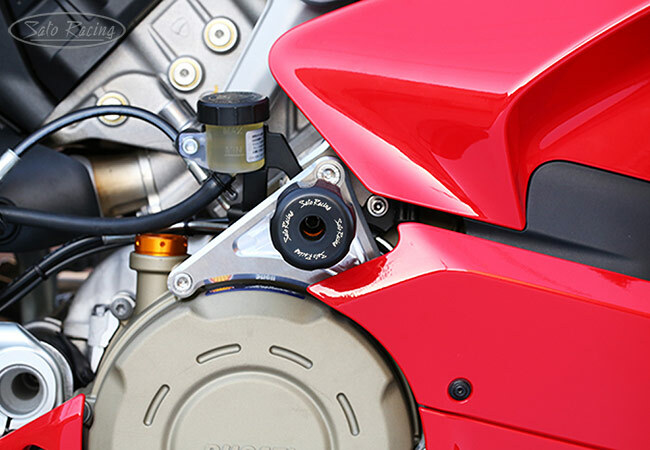 Not compatible with Panigale V4 R.